Cruise ships today are veritable floating palaces so enormous in size that they make the Titanic look like a dinghy. Despite the glitz and glamour on board these oceanic theme parks, there’s no avoiding ports of call while on your trip. With that in mind, sometimes a bit of dry land can make your cruise even more memorable. We love to extend our cruise vacations with a few days before and after the sailing to prepare for and get rid of our sea legs, especially in the 16 popular port cities below. Barcelona is a fixture for many Mediterranean cruises, and their cruise port is conveniently located at the foot of Las Ramblas – one of the city’s most popular tourist attractions. From the Hotel Ohla Barcelona, a former palace with a Michelin-starred restaurant, you are perfectly situated to explore the rest of the city’s highlights such as the Sagrada Familia and Parc Guell. Venice is well-known on the cruise circuit for its many day trip opportunities, from exploring the Doge’s Palace to a traditional gondola ride. If you’re looking to extend your understanding of the city on one end of your cruise, Baglioni Hotel Luna is a perfect choice. In this centuries-old aristocratic palazzo overlooking San Giorgio Island and the San Marco Basin, you’re just a stone’s throw from St. Mark’s Square and in the perfect location to see everything the city has to offer. Why not unwind after (or get excited about starting) a cruise around Southeast Asia in one of the world’s best hotels? At the Shangri-La Singapore, experience exquisite luxury set amidst 15 acres of lush greenery in the heart of the city. Just minutes from Orchard Road, a vibrant high-end shopping district, it’s a surefire way to come home with far more souvenirs than you every could have planned for. Take advantage of this hotel’s close proximity to the port – just a five minute walk, meaning a taxi for luggage is not necessary – and book it for your pre/post cruise option to ensure ample time to try and adjust to the potentially huge time difference. With such a short walk to Viaduct Harbour, there are plenty of options for dining and shopping to entertain you while your body adjusts to being in an entirely different hemisphere. Buenos Aires is the point of embarkation for many of the cruises that explore the bottom of the world, taking passengers around Cape Horn to see South America’s further points like the Strait of Magellan and the Chilean Fjords. 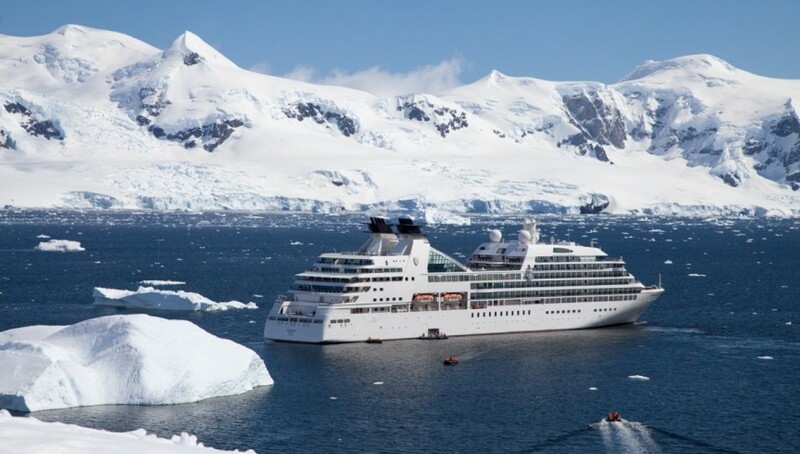 The ultimate cruise out of Buenos Aires is a 24-night Antarctica cruise that actually takes you to the Antarctic Peninsula for five days. As a destination for both river and oceanic cruises, it would be a shame to limit your time in Rome to just one day. The First Roma is just a short walk from the Piazza del Popolo, Via del Corso, and The Spanish Steps which makes it a great home base for your pre- or post- cruise explorations of one of the world’s oldest and most important cities.